Swiss-Belhotel International, the global hospitality management chain, has launched a new online training programme, SBI Academy, that will help to up-skill the company’s global workforce and discover the next generation of leaders.Harnessing e-hotelier’s highly respected e-learning platform, SBI Academy features a wide range of courses suited to a variety of different career levels and departments, including front office, food & beverage, finance, housekeeping and revenue management. 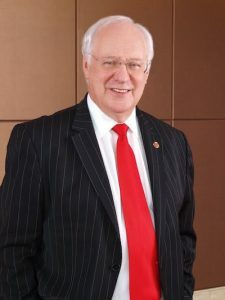 E-Hotelier is a partner of Swiss-Belhotel International and is globally recognised online hotel industry training company under the leadership of international hotel education doyen Mr Fritz Gubler. The overall aim of SBI Academy is to improve the professional skills of Swiss-Belhotel International’s entire global workforce, raise service quality, enhance guest satisfaction, drive greater returns to owners, and develop future leaders within the organisation. “Education has the power to change lives; it helps people break down boundaries and achieve their full potential. At Swiss-Belhotel International there are no glass ceilings. We have always encouraged internal recruitment and career progression. 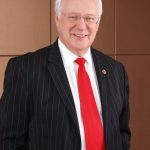 With the launch of SBI Academy, we want to create new opportunities for our team members to shine,” commented Mr Gavin M. Faull, Chairman and President of Swiss-Belhotel International. “With the hospitality industry now more competitive than ever, we can differentiate ourselves by attracting the retaining the best people. SBI Academy will provide every team member with a clear career development path and opportunities to grow within our organisation. In turn, this will raise guest satisfaction levels and help us meet the expectations of our partners through professionalism and improved performance,” Mr Faull added. SBI Academy officially launched in August 2018, with an initial batch of 300 hotel team members signing up for the online programme. A wide range of courses will be available across a complete spectrum of hospitality disciplines, from operational to management level. Team members can select the courses that meet their own personal requirements or career ambitions. These courses can be taken at the user’s own speed, allowing hotel staff to organise their training around their busy work schedules. Swiss-Belhotel International’s workforce is one of the company’s biggest assets – a vast global pool of knowledge, experience and talent. By harnessing this potential and allowing every team member to reach their peak, SBI Academy will deliver untold benefits for the company – and the entire industry – in the years to come.